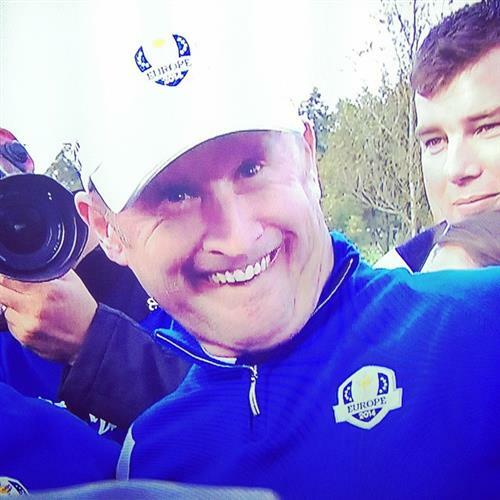 Yes, Europe are victorious in the Ryder Cup once again. There was to be no Medinha-esque recovery from the Americans and it was Wales' Jamie Donaldson who got the team over the winning line with a dominant performance in the singles against Keegan Bradley. There are though four more games out on the course which we will continue to follow to their conclusion. A touch after the lord mayor's show I grant you but the remaining state of play is as follows... Garcia leads Furyk, Poulter and Simpson are all square, Walker heads Westwood by two and the rear gunner that is Dubisson is one up on Johnson. It's a half point apiece for Poulter and Simpson as they both par the 513-yard 18th and head off the course with price intact. Jimmy Walker sees off Westwood 3&2, meaning the only match still in progress at Gleneagles is Dubisson against Johnson, which is all square with three to play. The overall score is 16-11 to Europe. 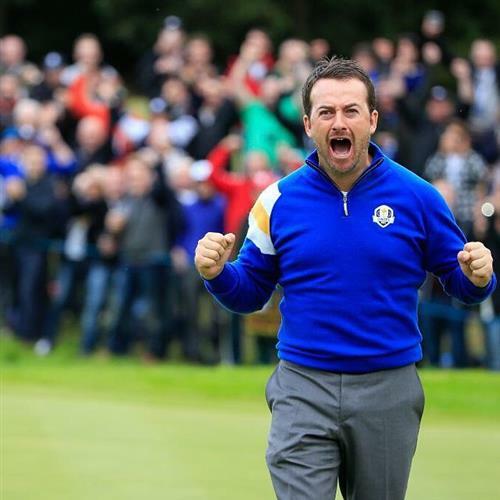 "We are really happy for Jamie Donaldson to get the job done. He has played really well this week, been great in the team room, lots of fun, and it was superb that the last shot fell to him. I cannot speak highly enough of the captain. Paul McGinley has left no stone unturned." Rory McIlroy reflects on winning the Ryder Cup. Testament to the team spirit in the European camp is the number of the players who are out supporting Dubisson as he completes his match against Johnson. It's all square as they negotiate the par five 16th. 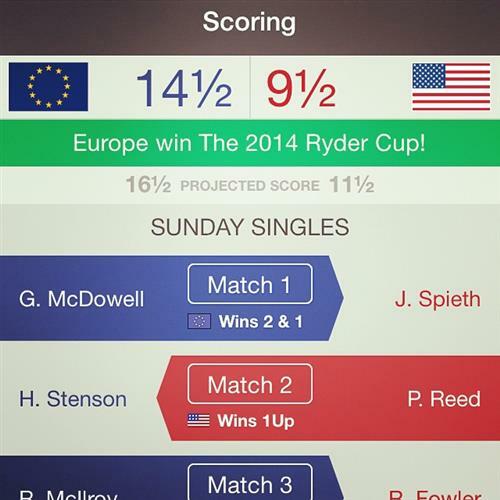 "The way that Rory McIlroy did it today was enormously impressive. He pressed it home all the way from the start. There weren't enough of big moments from me this week, but it is not about the players it is about the team." Ian Poulter pays tribute to the world number one. Dubisson successfully preserves his one hole advantage on the 16th with a superb up and down for a birdie four. Dubisson and Johnson both find the front bunker off the tee on the par three 17th.